In a report issued on July 9, Mark Lear from Jefferies reiterated a Buy rating on Continental Resources (NYSE: CLR), with a price target of $84. The company’s shares closed yesterday at $62.42. According to TipRanks.com, Lear is a 3-star analyst with an average return of 2.6% and a 52.7% success rate. Lear covers the Basic Materials sector, focusing on stocks such as Jagged Peak Energy Inc, Whiting Petroleum Corp, and Extraction Oil & Gas. Currently, the analyst consensus on Continental Resources is a Moderate Buy with an average price target of $73.92, a 18.4% upside from current levels. In a report issued on July 9, RBC Capital also reiterated a Buy rating on the stock with a $72 price target. Continental Resources’ market cap is currently $23.47B and has a P/E ratio of 22.83. The company has a Price to Book ratio of 4.38. Based on the recent corporate insider activity of 51 insiders, corporate insider sentiment is negative on the stock. 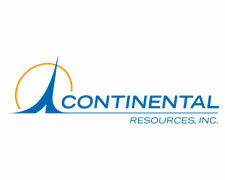 Continental Resources, Inc. engages in the exploration and production of crude oil and natural gas. Its operations are focuses on the MT Bakken; Red River Unites; STACK; Arkoma Woodford; SCOOP; and Other. The company was founded by Harold G. Hamm in 1967 and is headquartered in Oklahoma City, OK.